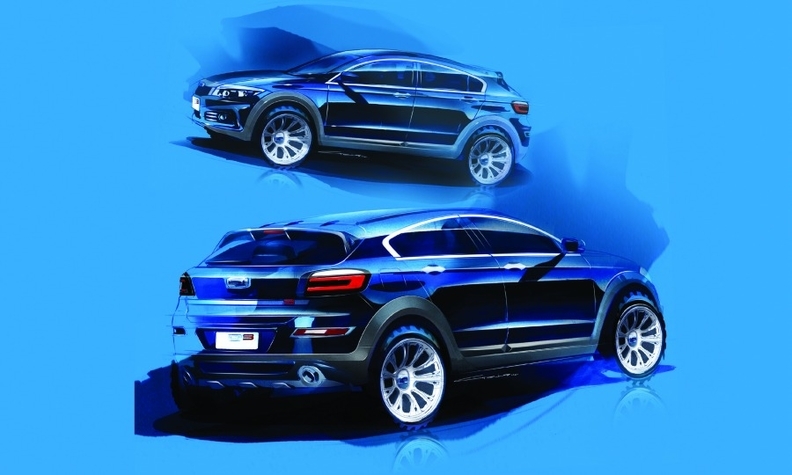 Qoros released sketches of the 3 City SUV ahead of its unveiling. Chinese carmaker Qoros will unveil its third production model, a compact SUV, at this week's Guangzhou auto show in China. The Qoros 3 City SUV will join a compact sedan and hatchback in the automaker's current lineup. It's a move that the brand hopes will help boost its presence at home while also giving it a model aimed at Europe's fourth-largest segment as it prepares for a regionwide rollout in 2016. "We certainly hope to capitalize on the increasing popularity of SUVs in China as well as markets where we will be represented such as Europe," a company spokesman told Automotive News Europe. The SUV will go on sale in China starting early next year. Qoros officials declined to say when SUV sales would start in Slovakia, which is the brand's European pilot market. Qoros has been selling its compacts in Slovakia for nearly a year. Qoros sales chief Stefano Villanti told Automotive News Europe in June that the automaker's sales would be expanded to other countries in eastern Europe, followed by Nordic countries and then all of Europe by 2016. Qoros has said it expects eventually to sell more than 10 percent of its cars in Europe. Qoros, which is 50-50 joint venture between China carmaker Chery Automobile and Israel Corp., also plans to add a larger SUV and a station wagon to its range in an effort to further appeal to European tastes. Qoros, which has invested $2.5 billion (1.89 billion euros) to build a five-car range, operates a new factory north of Shanghai with a capacity of 150,000 that can be expanded to 250,000 to 300,000.